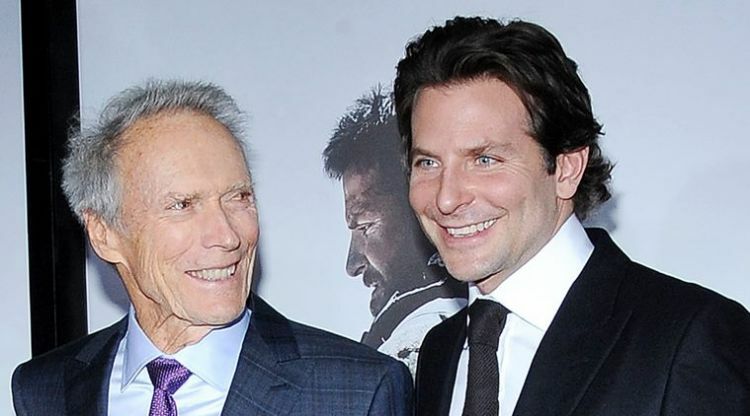 Actor Bradley Cooper is all set to reunite with his American Sniper director Clint Eastwood for a new film, The Mule. The 43-year-old actor is in negotiations to join the cast of crime-drama from Eastwood, who will also star in the film, according to The Hollywood Reporter. This will be the 87-year-old legend’s first film as an actor since 2012’s sports drama Trouble With the Curve. Clint Eastwood is mostly known for starring in Sergio Leone’s spaghetti Western film trilogy Dollars Trilogy. 1966’s The Good, the Bad and the Ugly is considered as one of the best and most influential western films in history. The Mule is based on a 2014 New York Times magazine story that tells the true story of 90-year-old World War II veteran and horticulturist Leo Sharp who became a drug courier for Mexico’s Sinaloa Cartel. The film’s story follows Earl Stone (Eastwood), a man in his 80s who is broke, alone, and facing foreclosure of his business when he is offered a job that simply requires him to drive — easy enough. But unbeknownst to Earl, he’s signed on as a drug courier for a Mexican cartel, and also hit the radar of hard-charging DEA agent Colin Bates (Cooper). Eastwood will also produce the project through his Malpaso banner and will be joined by Dan Friedkin and Bradley Thomas as co-producers. Ruben Fleischer, David Bernad, and Todd Hoffman are executive producing. Bradley Cooper’s last role was as Rocket in Disney Marvel superhero film Avengers: Infinity War. He gave his voice to the character. He is all set to direct A Star Is Born, which would be his directorial debut. This film is a remake of 1937 film of the same name directed by William A Wellman. It would release on October 5 later this year. Lady Gaga, Sam Elliott, Andrew Dice Clay, and Dave Chappelle will also star.